This perhaps would be my first bilingual post in English and Hindi. 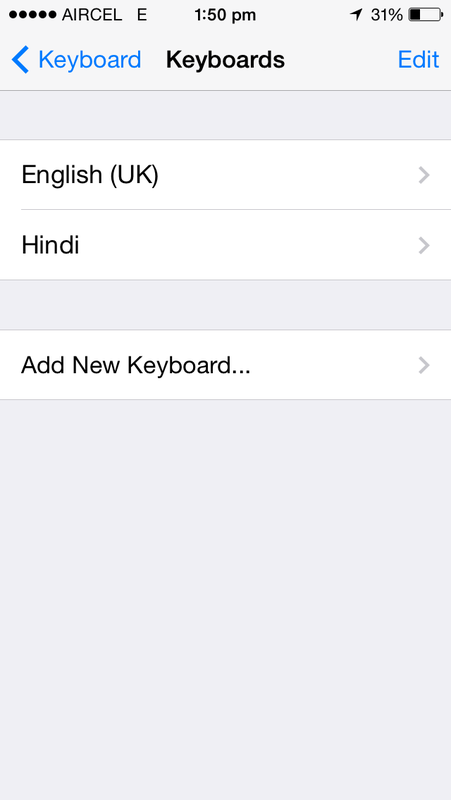 But thanks to the keyboard of the iPhone, Hindi typing is as easy as English. Hindi keyboards are not easy. Hindi not only has letters but also symbols above, below and after the letters to pronounce sounds. Typing symbols is not easy. But iPhone’s Hindi keyboard is intuitive and easy. If you have not tried, please do try. Now press the Globe button on keyboard and Hindi Keyboard will appear. All the best. This entry was posted in iPhone and tagged Hindi, Iphone 5. Bookmark the permalink.